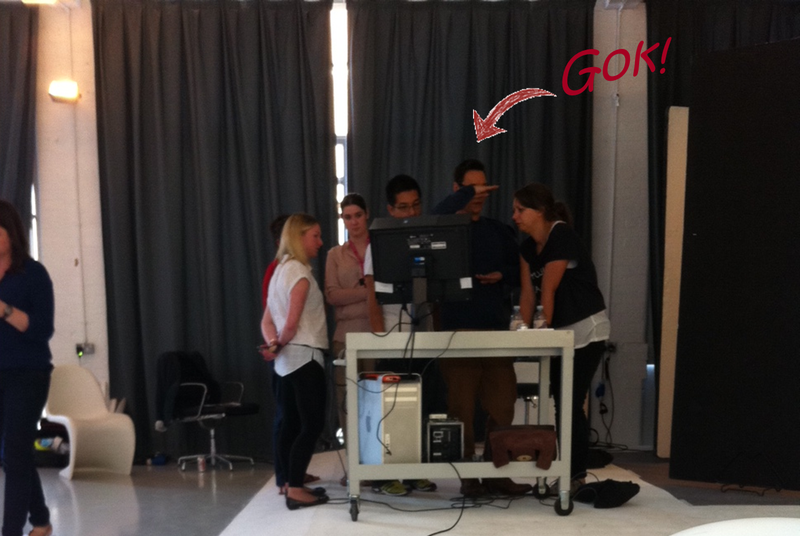 Last week I assisted on the photoshoot for the new look book for Gok's range for TU at Sainsbury's!! It was all very exciting, the new collection is gorgeous at such bargainous prices! There's some sparkly dresses and mohair wrap cardigans, wide leg on-trend trousers and a gorgeous tux all fitting neatly into a beautiful capsule collection in navy, pink and some flouncy prints to keep this AW alive. The dress on the model above is a navy and black sequin cling dress worn with some black heels for this season's Christmas parties. Sorry to have no better photos - these sneaky ones came from my phone between changings. Most of my day was spent steaming, organising accessories and clothes for the model. And I didn't want Gok to think I'm a loser - we still have that Asian bond thing going on!